Bosch StarlockMax®® Oscillating Multi-Tool Accessories provide extreme-duty performance in the most demanding professional applications. The StarlockMax®® interface features a three-dimensional fit designed to provide a completely integrated system between tool and accessory. This is a new dimension in torque for multi-tools. By using a three-dimensional shape instead of a flat interface, StarlockMax®® provides the highest-torque transfer, reduced vibration, and power required for the largest blades and the most difficult applications. These extreme-duty accessories are compatible with next generation of high-performance StarlockMax®® oscillating multi-tools. Bosch multi-tool accessories are Swiss made for precision accuracy and long life in the most demanding professional applications. 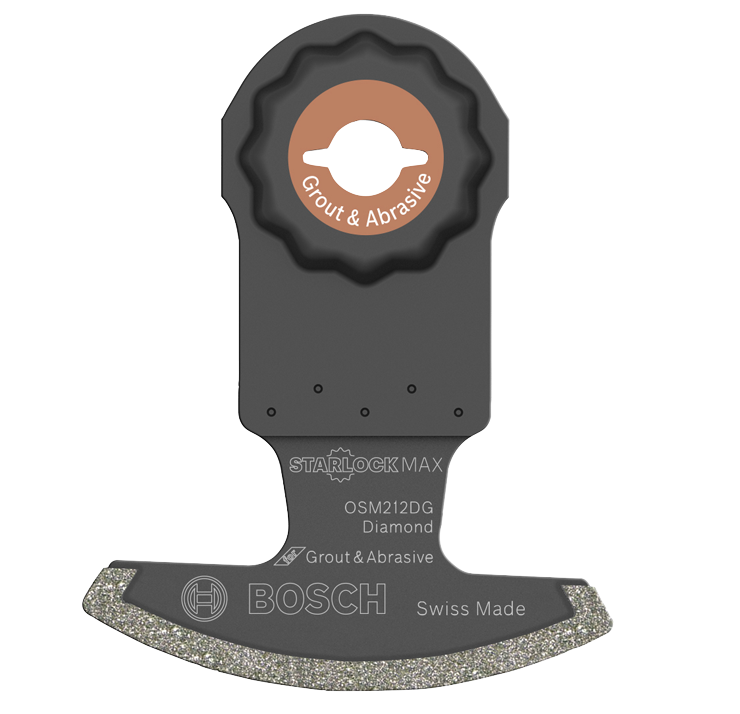 Bosch has a heritage of innovation – including the SDS-plus® and SDS-max® shank systems for concrete hammers and the T-Shank professional blade standard interface for jig saws. The Starlock® interface is the new professional standard in oscillating multi-tool systems.